As we got into it we realized it was really, really ambitious. But I am profoundly thrilled to report that the SF Ruby community came together this weekend and made it happen. It was really, really incredible. More than 60 people spent their Friday evening installing Rails. Then they came back on Saturday and learned how to use it. A lot of them had never programmed before, but now they have Github accounts and a URL on Heroku. Watch out world! In addition to learning way more than I expected, I enjoyed the tone of the entire weekend. It was the only attitude-free, newbie-safe and mama-friendly tech event I have ever attended. 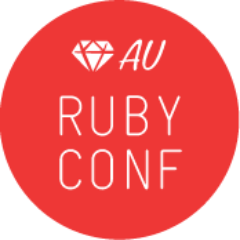 So a million thanks to our sponsors, our volunteers, and the entire SF Ruby community for making this happen. Seriously. You ROCK. Wow! I’m glad that something awesome / positive has come out of the whole Rails fiasco. Damn, that room was packed! I found your site through Desi. I’m working on launching a technical training business and am particularly interested in emphasizing women attendees. If you’re at all interested, I’d love to chat with you about your experience this time around and possibilities to collaborate in the future. Email me! Thanks Sarah and Sarah for a truly amazing event. I started my own little application last night, and this workshop was definitely the kick I needed to make that happen. Thanks to everyone who had a part in it. Woohoo!! That was impressive that you guys worked with such a range of skill levels, including the people who had never programed before. Looking forward to hearing more. Btw, it was great to meet you at the WWDC lunch last week! Disappointed that this session was full- plans for another one in the works? Yep! Looking at July 31st and August 1st for the next one. We’re still figuring out the details, but it should be in San Francisco proper.